After my previous post on how toxic farm-raised fish is (especially salmon), many people wanted to know what was safe to eat? So, today I wanted to share with you the mercury levels in fish. Many people are turning to fish as a healthier alternative to factory meat, but you must be careful with what you’re choosing due to the pollution of our seas. 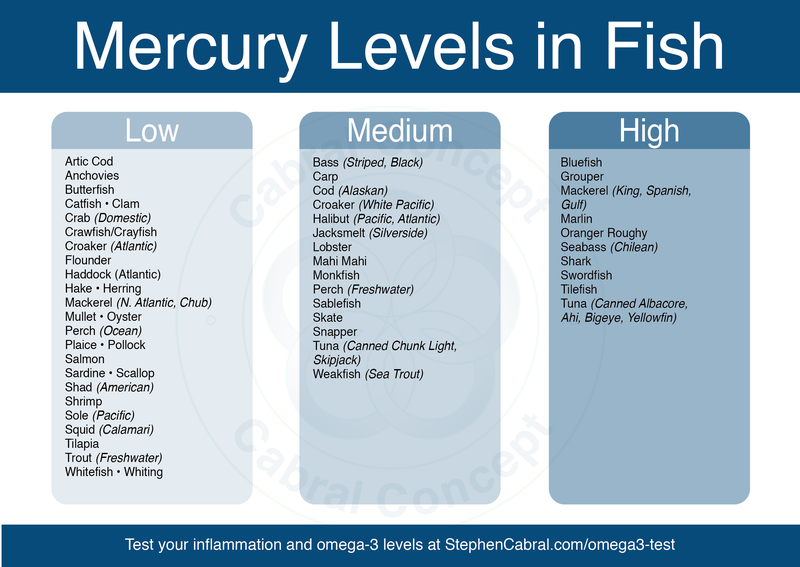 So, in order to make things easier I’m supplying you with a PNG graphic and list below showing you the low to moderate to high levels of mercury in fish.